Our public restaurant offers a variety of Ugandan and international dishes. Especially popular is our Pizza and the homemade bread. We also offer to make cakes for different occasions. 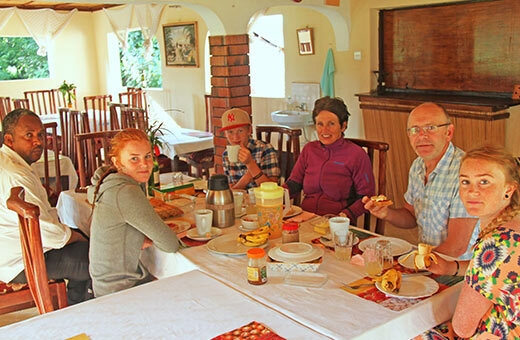 In line with the founding principles of SALEM: respect for all life in the pursuit of peace and environmental protection, our Guest House is vegetarian. In fact we are the only Ugandan hotel certified by VeggieHotels, the world's largest hotel association for purely vegetarian hotels, B&Bs, guest houses and health centers. Our aim is to serve food which is 100% sourced. Most importantly, our meals are very tasty! 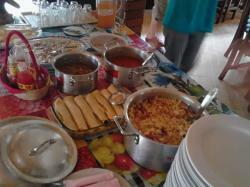 The prices for one dish usually vary between 10 and 15.000 UGX. 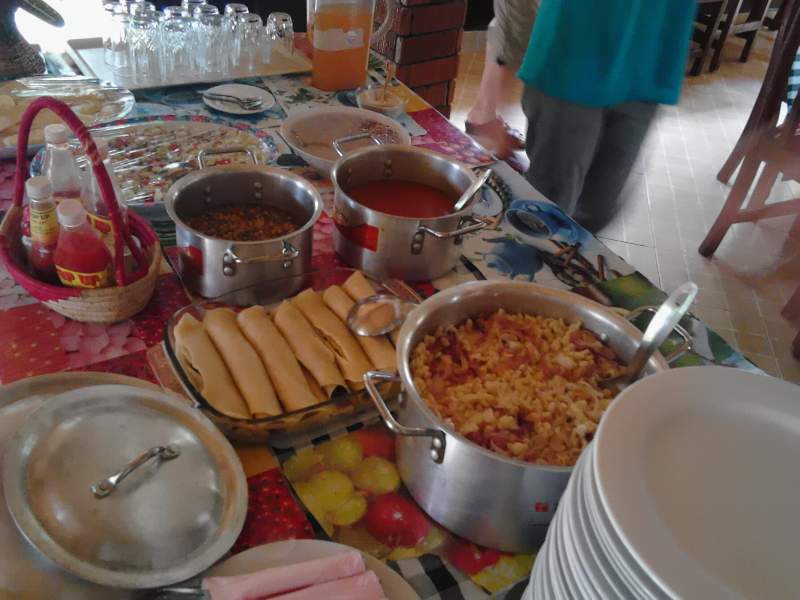 The food is served either in the restaurant or in one of our traditional Kasubis (round huts without walls). 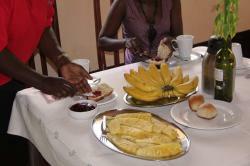 For the guests in the rooms at the guest house, breakfast is included but also half board and full board is available. After a long and adventurous day our bar offers refreshing cold sodas as well as beers, wine and fresh self-made cocktails. Why don't you enjoy the drink of your choice while sitting around a nice campfire?